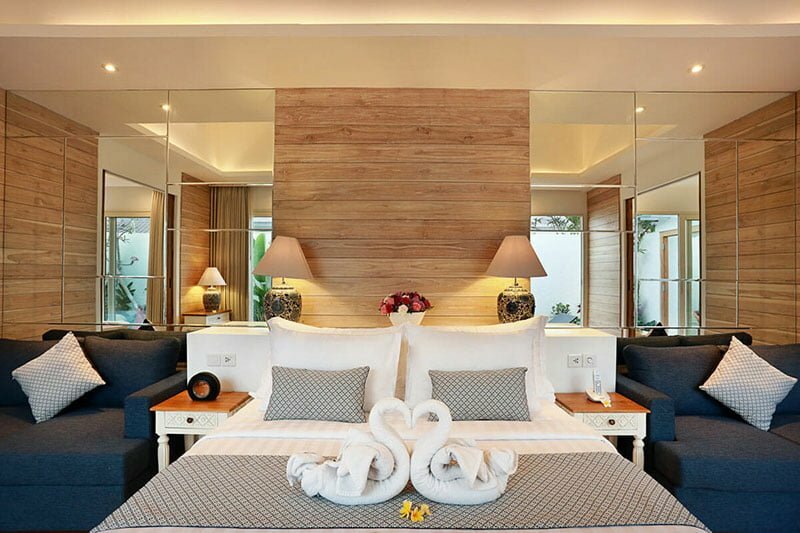 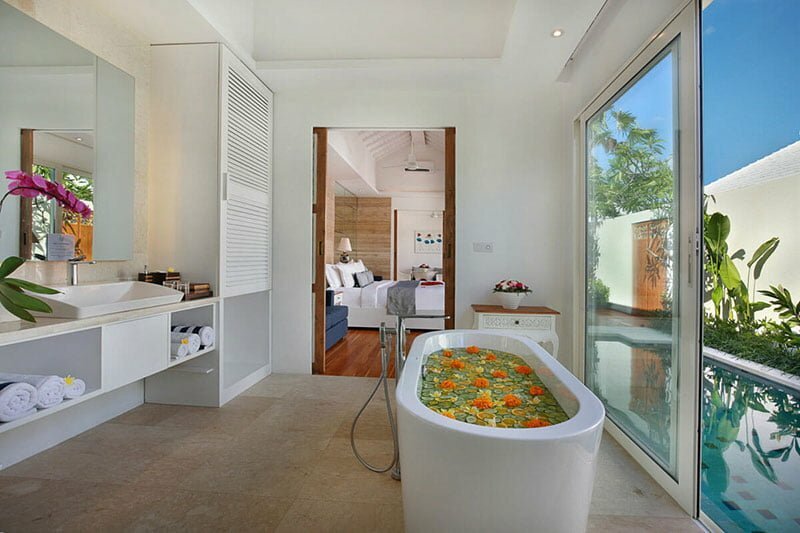 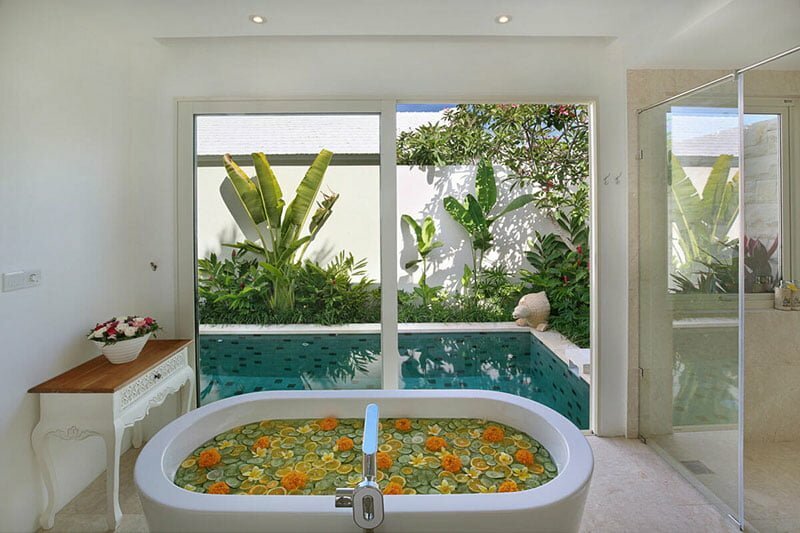 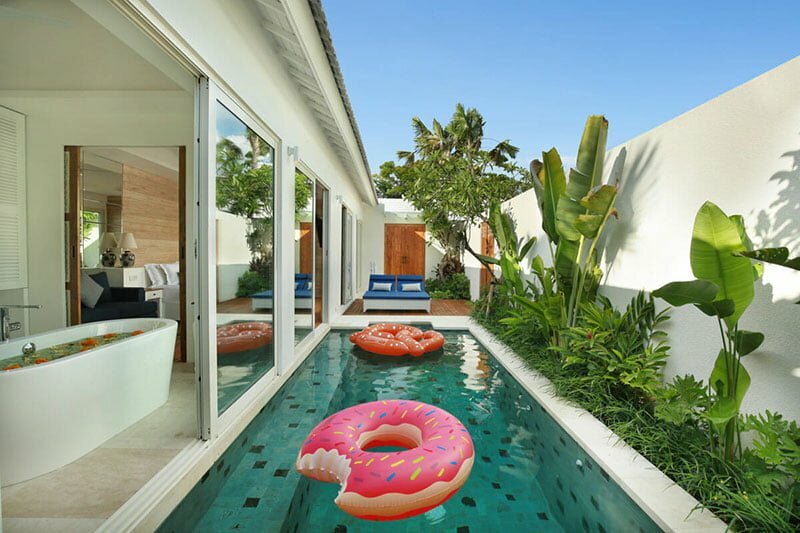 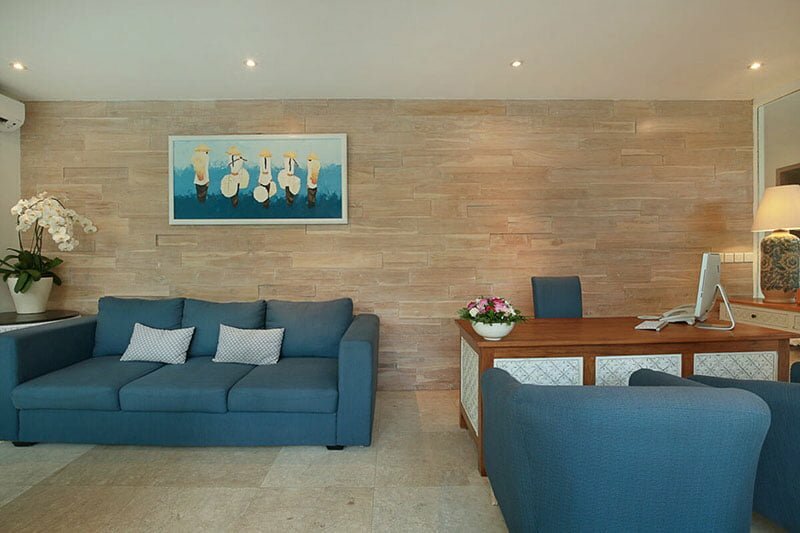 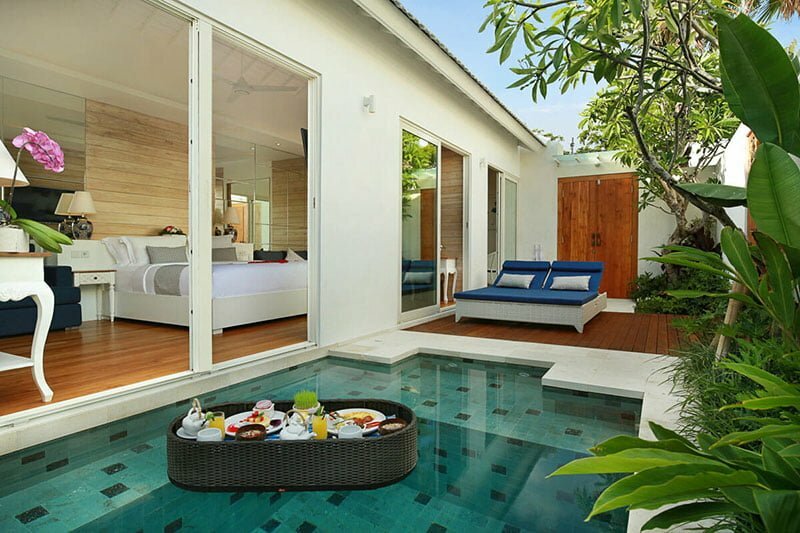 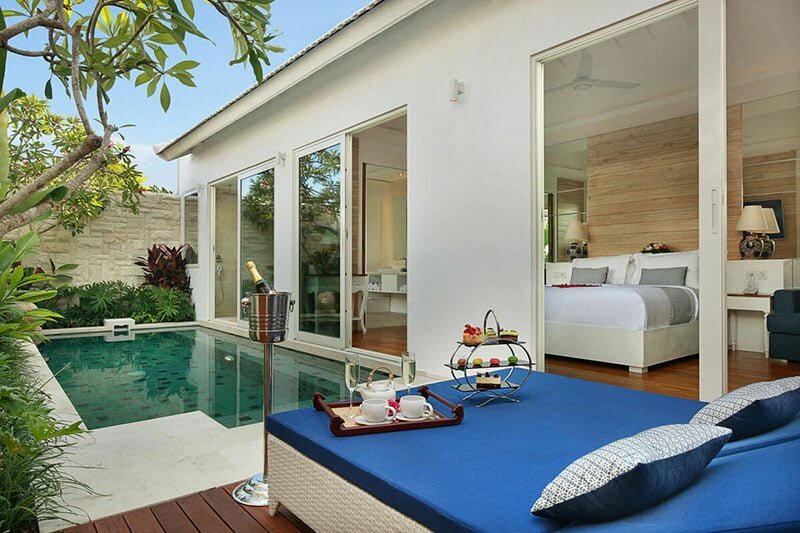 Set in a modern complex,Aleva Villas consist of bright and contemporary private pool villas which also feature a Jacuzzi. 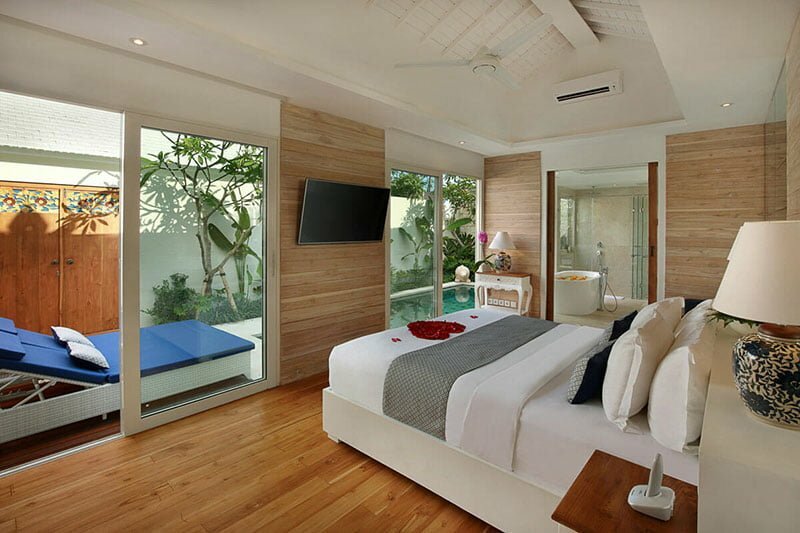 The accommodation consists of a large bedroom where a king sized bed and cool air conditioning ensure a good night’s sleep. 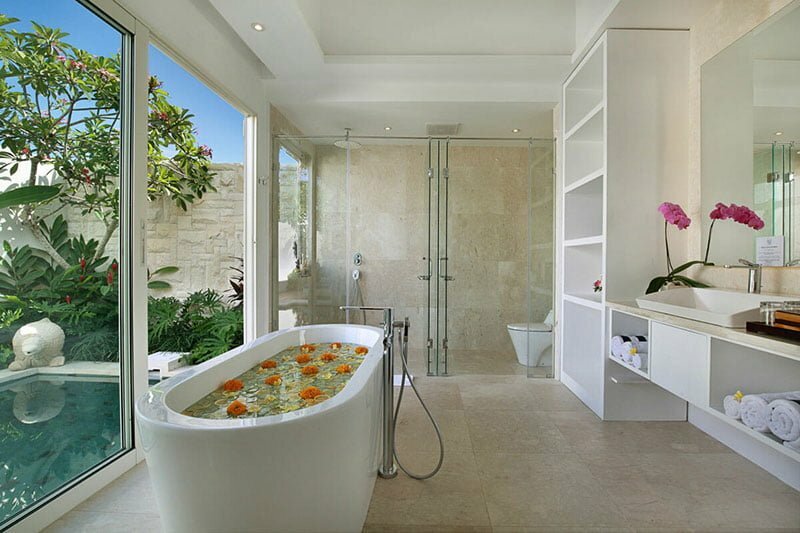 The spacious bathroom features both shower and free standing stone bath tub. 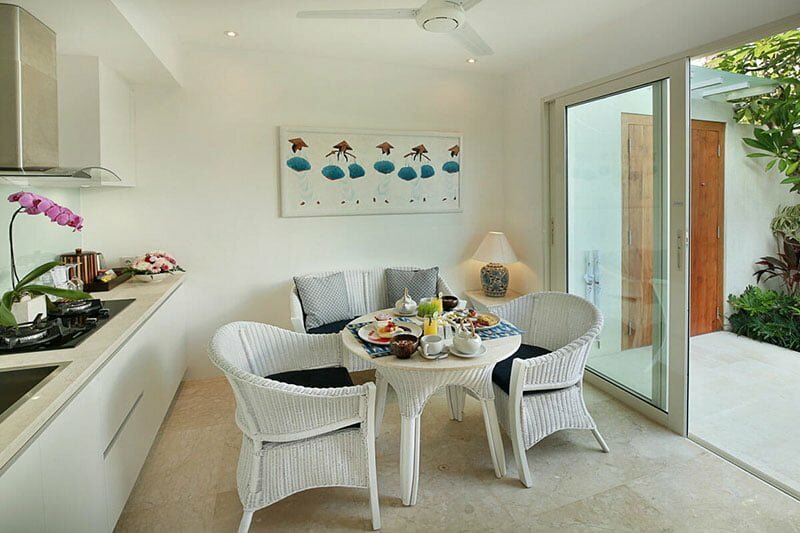 There is also a kitchenette, dining and lounger area. 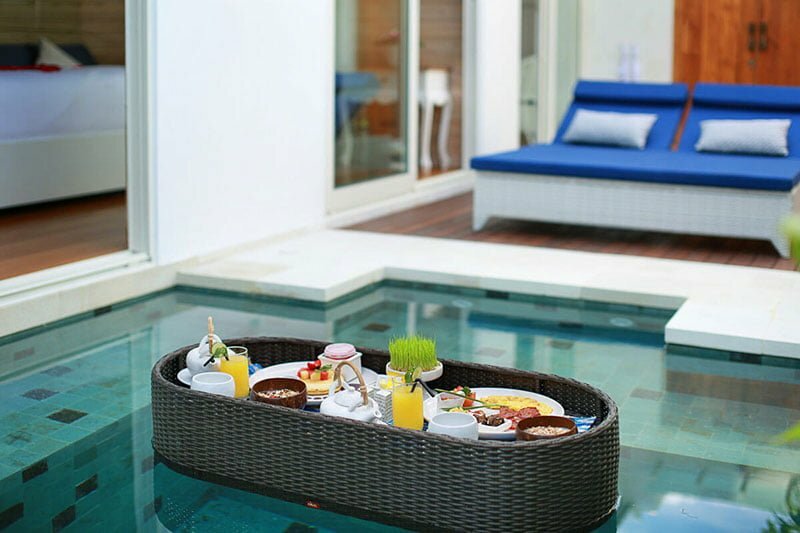 By the pool, sun loungers provide the perfect place to soak up the tropical sun. 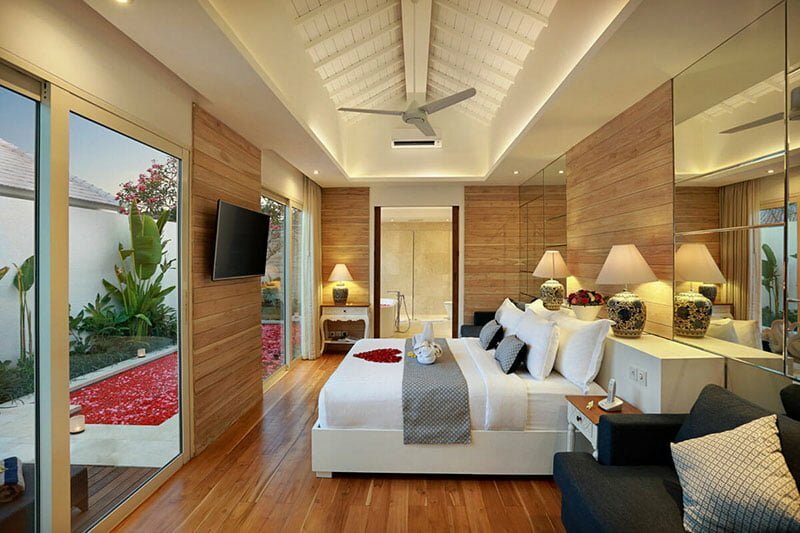 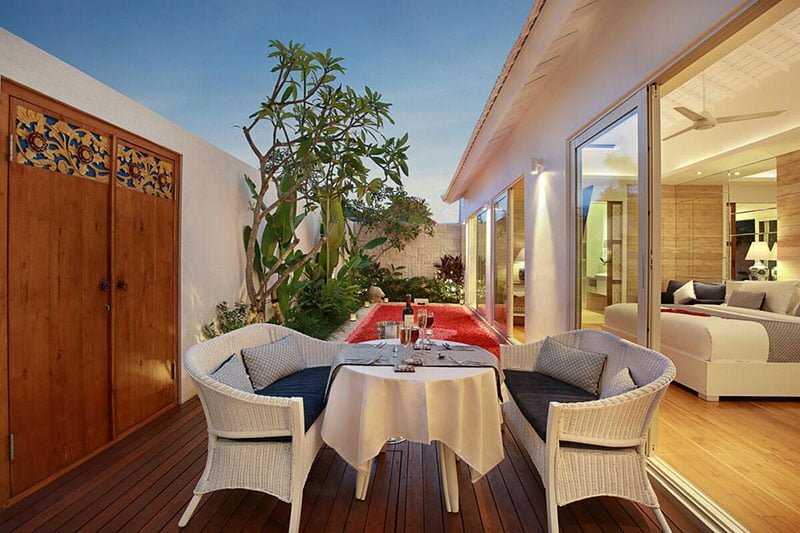 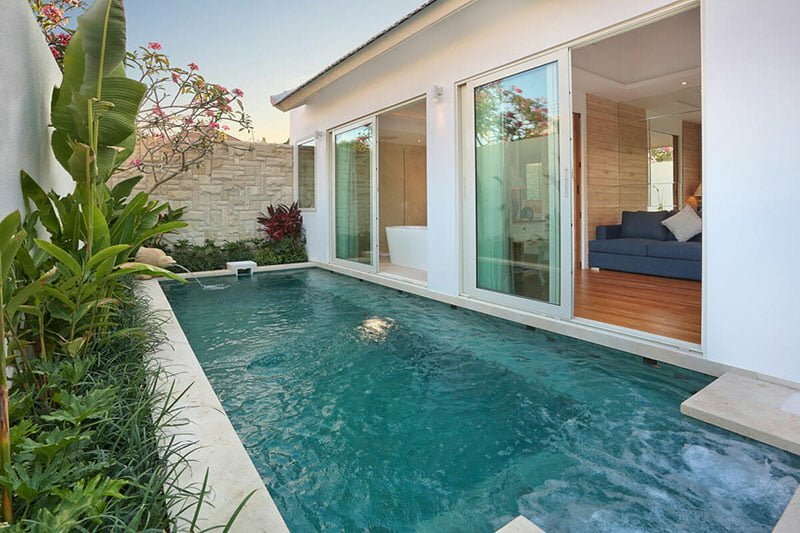 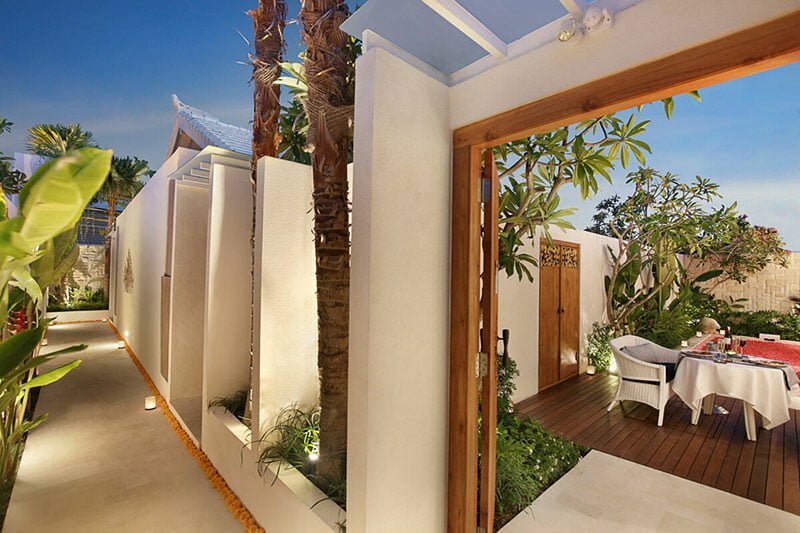 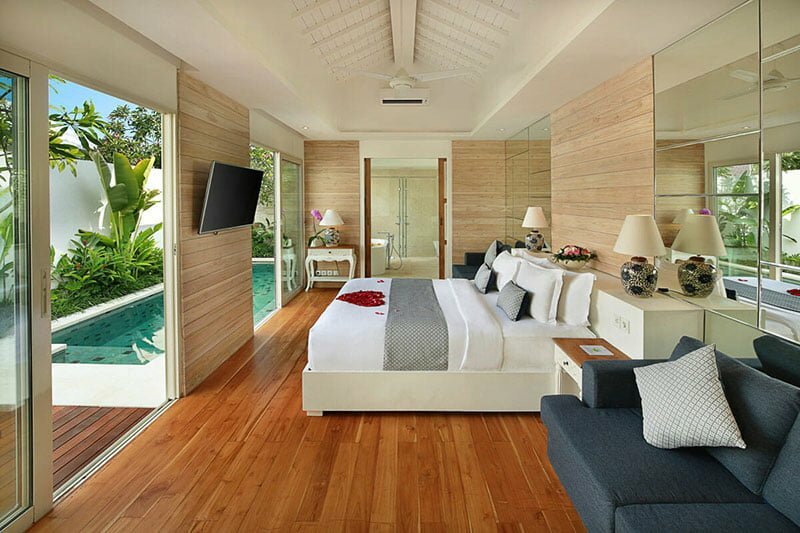 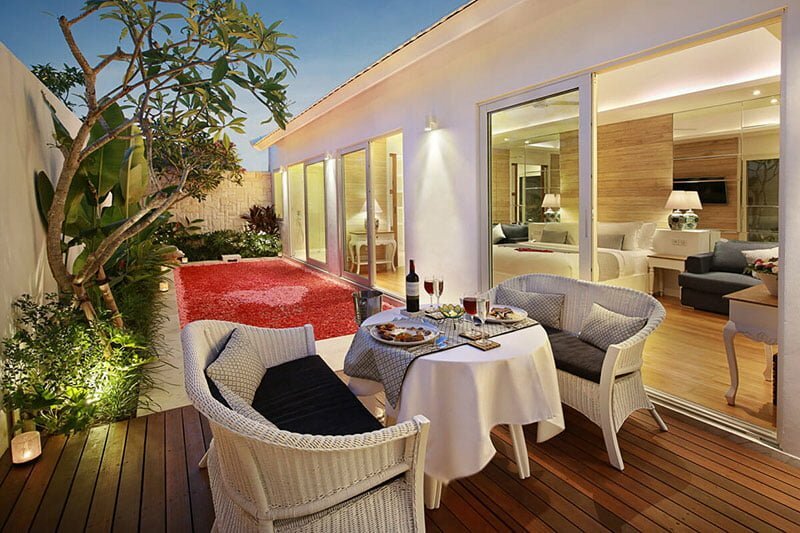 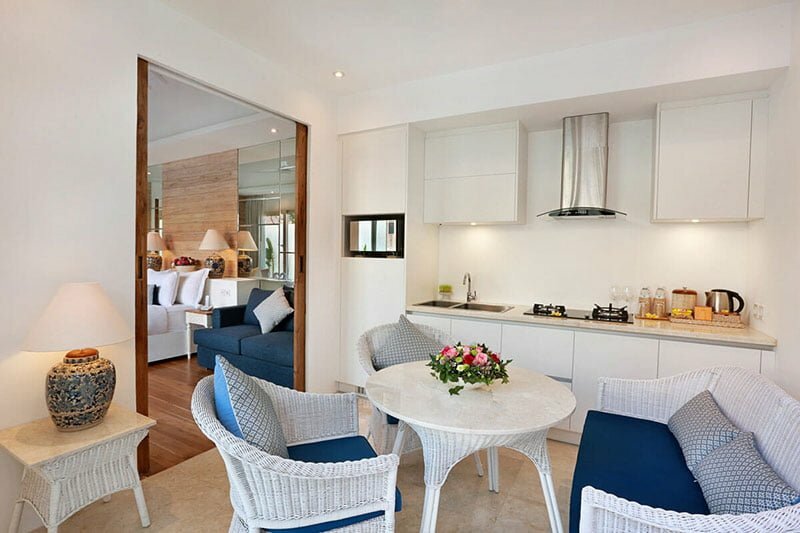 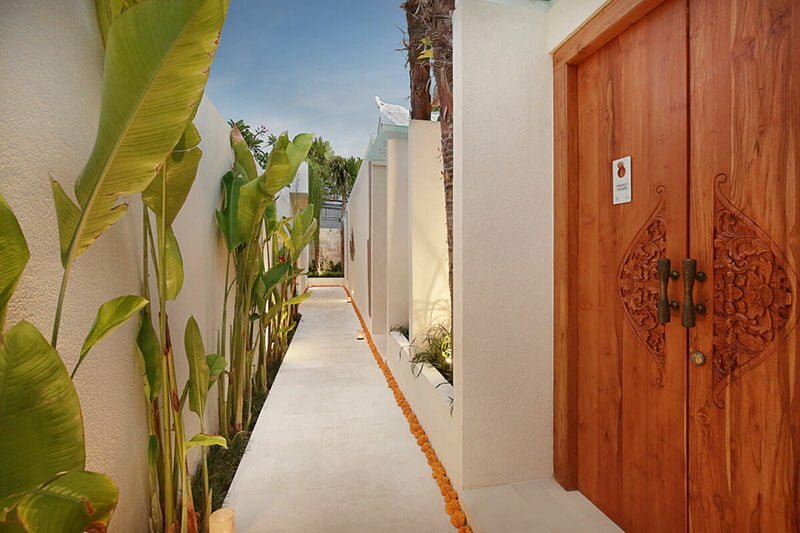 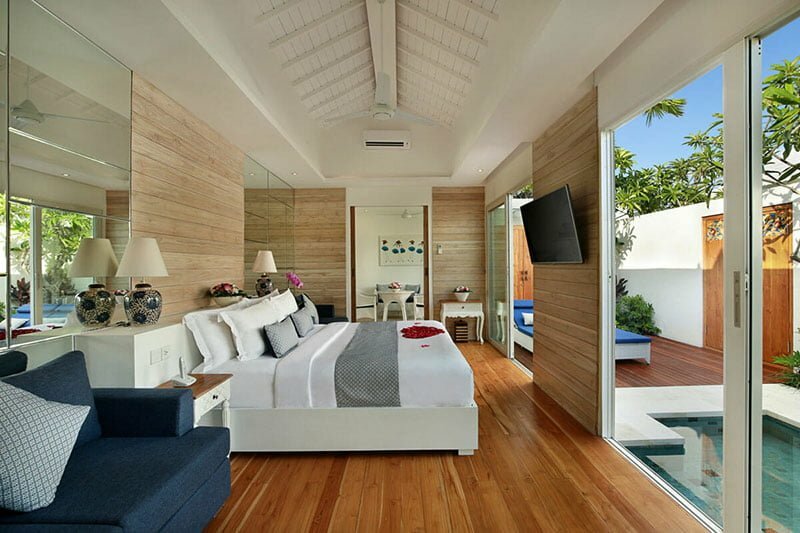 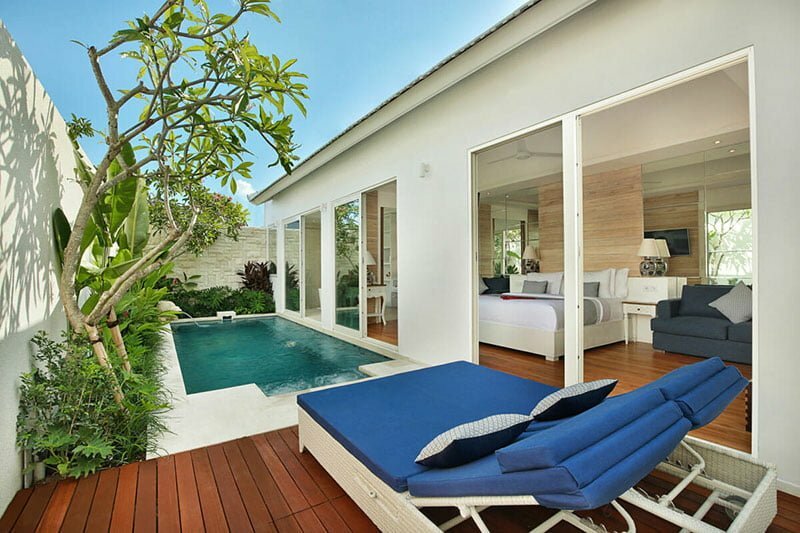 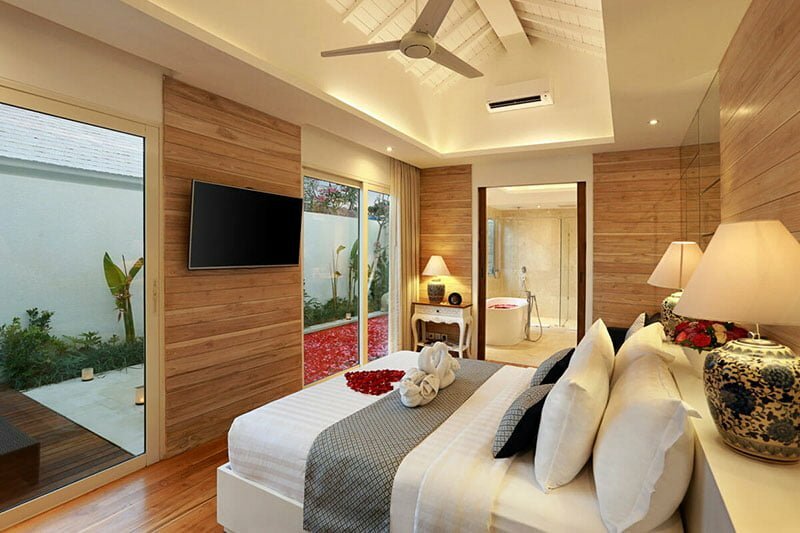 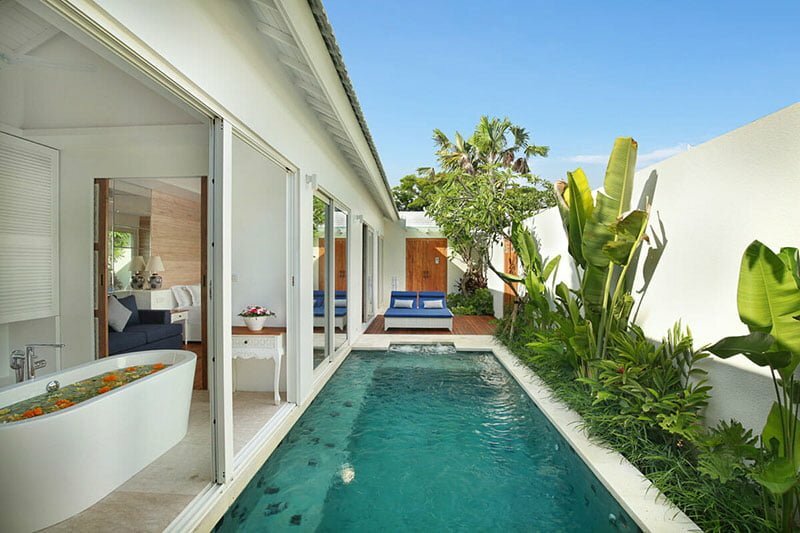 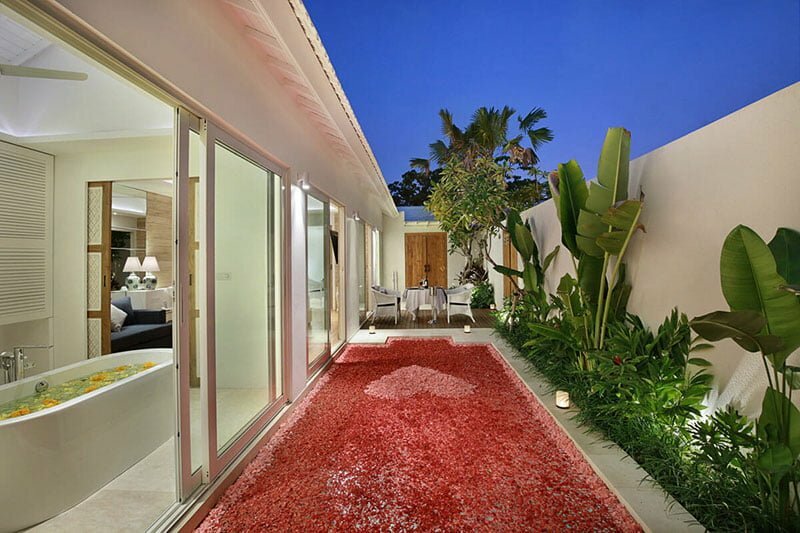 The villas boast a great location – just 5 minutes to the shops, bars and restaurants of Seminyak, and ten minutes to the cool beach clubs and stunning sunsets of Seminyak beach. 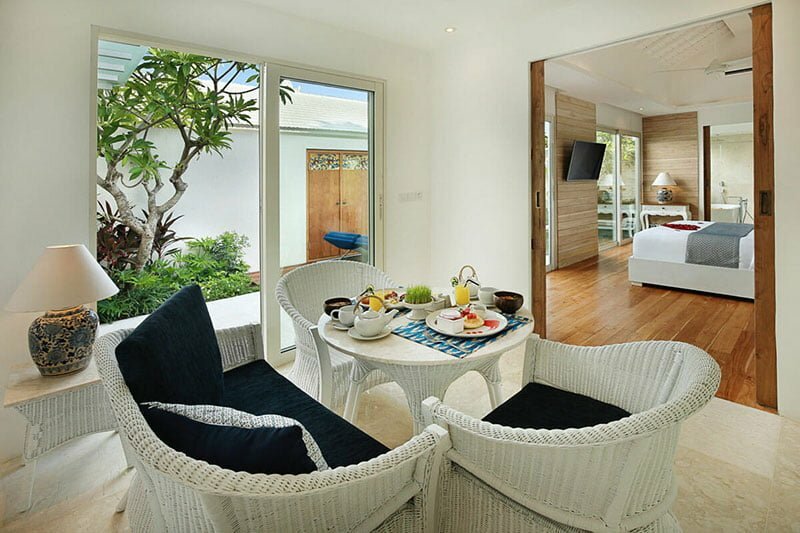 Daily breakfast is also included and staff are on call 24 hours a day to attend to your every need, making this a highly recommended option for your holiday in tropical paradise. 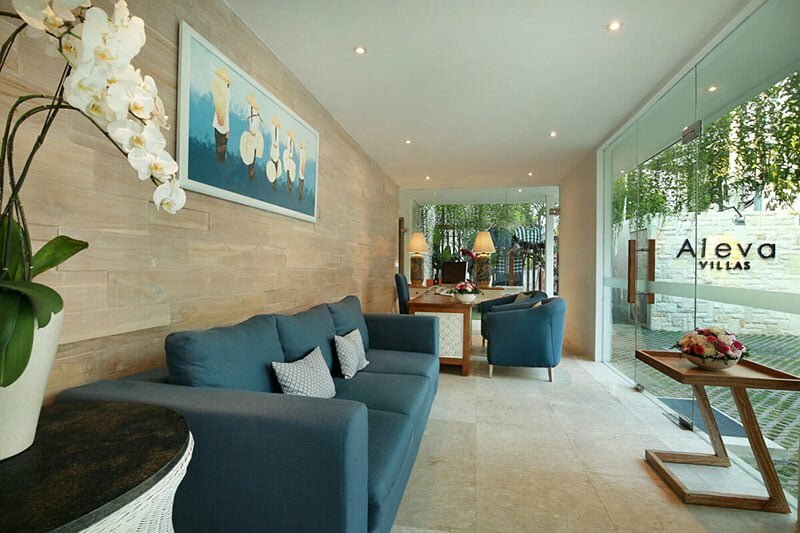 Distances: Airport 20 minutes, shopping, restaurants and nightlife 5 minutes, beach 10 minutes.